Fortnite update 1.76 is now rolling out for players on PlayStation 4 and Xbox One. According to the official Fortnite 1.76 patch notes, the new update includes various fixes for issues related to framerate drop, server performance, and more. In addition, Fortnite version 1.76 also includes stability and performance improvements. Check out more details below. Recently, an update was released with gameplay changes and fixes. Unfortunately, after the previous patch, some players were experiencing a number of issues when trying to play the game. Today’s Fortnite version 1.76 update is expected to fix all these issues. Welcome to the High Stakes event! Assemble your crew for the new Getaway LTM and complete challenge to get some free rewards. Grappler (Battle Royale)Make a daring escape or get into the action quickly! This new item attaches to anything you hit for quick traversal. Weekly Horde Challenge 5 (Save the World)With increased health and the ability to bat players away with strong knockbacks, these Husks are no joke. Gather your team and take them on now! Harvester Fiona (Save the World)Smoke bomb the field and jump into the action! A new Harvester Ninja joins the fight. Fixed an issue causing some unneeded assets to remain in memory when switching from Save the World to Battle Royale or vice-versa. Fixed an issue that caused camera jitter when simultaneously canceling sprint while reloading and aiming down sights. Fixed a rare server crash that could occur when a player edits a building. Fixed an issue that prevented weapons from firing when holding the fire button during a weapon swap. Fixed an issue causing the crosshair to drift if player rapidly presses aim down sights with sniper rifles. Fixed some buildings’ destruction effects being played twice. Fixed ammo quantity counts not updating properly on the inventory screen details panel. Fixed broken antialiasing in handheld mode on Nintendo Switch. Welcome to The Getaway! In this mode, players will race to find a Jewel and take it to a Getaway Van before everyone else to win the match! Four TOTAL Getaway Vans will be in the map, three that arrive early in the match and one more that shows up near the end. 12 red “Pursuit” Supply Drops land at the very beginning of the match. These carry a variety of longer-range weapons and other items, and are the only way to obtain the new Grappler in this mode. Resource harvesting amounts increased by 50%. Only Rare weapons or higher will be found in this mode. Rifts, Rift-To-Go and Launchpads have been removed to reduce mobility for Getaway Van engagements. Profile Stats (K/D & Wins) are tracked in this mode, but Umbrellas are not awarded for wins. Fire at a nearby object to pull yourself towards it. Can be found in Vending Machines, floor loot, Treasure Chests, Supply Drops, and Supply Llamas. Chain multiple shots together to travel great distances. Has 15 charges. Discarded when charges are depleted. Some items have been removed or modified to better reflect their effectiveness. This only affects their colors and other characteristics are unchanged. Availability of Epic and Legendary Rocket Launchers increased slightly to compensate. Remote Explosives increased from Rare to Epic. Port-a-Fort decreased from Epic to Rare. Semi-Auto Sniper rifle decreased from Epic and Legendary to Uncommon and Rare. Increased the frequency that the Semi-Auto sniper rifles drop to align more with their rarity class. Dual pistols decreased in rarity from Epic and Legendary to Rare and Epic. Suppressed pistol decreased in rarity from Epic and Legendary to Rare and Epic. Burst Assault Rifle accuracy adjustments. When holding down the trigger, the first 2 bursts are more accurate. Spread down sights benefit increased from 35% to 40%. Crouch spread benefit reduced from 25% to 20%. Jumping/Falling spread penalty reduced from 25% to 10%. Sprinting spread penalty reduced from 50% to 30%. Increased drop stack count for Boogie Bomb from 1 to 2. Fortnite version 1.76 increased maximum stack size for Stink Bomb from 5 to 6. Increased maximum stack size for Shield Potions from 2 to 3. Fixed an issue that prevented audio and effects from playing on other players who are consuming a shield potion. In the moving storm phases, when the storm reaches its destination, it will cause a surge of energy that destroys player-built structures located on the storm wall. Motion controls now function uniformly across input types on Nintendo Switch and mobile. Options have been added to the settings to allow you to switch your motion turn axis. Motion deadzone has been removed. Fixed an issue causing supply drop landing effects to play twice in some circumstances. Fixed inconsistencies with auto-pickup when landing on pickups, and when pickups are first thrown from containers. Improved loading performance on Nintendo Switch to reduce issues with buildings loading late (i.e. low-res buildings during skydiving). Fixed a large performance regression related to effects. This was causing poor framerate in the 5.30 release (especially on Nintendo Switch). Boosted volume of the Remote Explosives placement sound. Improve the quality of the sound played when dropping from the Bus on Mobile/Nintendo Switch platforms. Improve spatialization of the chest open sound for other players nearby. Reduced the spam of item pickup “bounce” sounds when pickups are sliding down hills. Fixed several UI sound issues. Emote picker is now available in the lobby, no longer limited to just playing the first emote selected in your locker. Fullscreen map now supports touch on Nintendo Switch. Item shop now shows the item description when inspecting. Road Trip week 8 and 9 display the correct completion value now. Fortnite update 1.76 fixed issue where challenge bundles did not display the correct number of stars from the challenge tab. Fixed issue where style preview would sometimes not be centered in the view correctly. Banner rewards from the Battle Pass no longer show an empty description box. Fixed an issue wherein rerolling a daily quest in Battle Royale would not select the new quest. Style gift boxes will now show the 3D preview of the character with the style applied. Fortnite 1.76 for PS4 fixed an issue where navigating in the locker would cause some drop in performance. Fixed an issue where changing away from the Challenges Tab would cause some information to get stuck on the screen. Fix an issue where continuously clicking on the “Select Game Mode” page would prevent it from closing. Fixed an issue where using touch to open/close the map would cause d-pad controls to become unresponsive. Fortnite 1.76 fixed an issue with the loading screen showing incorrect information for non-leader party members. Fixed an issue that could cause player models to not appear while in game. Fixed an issue with spray quality temporarily appearing pixelated for some sprays. Fixed the Downshift Glider rear light trails from clipping with geometry. Fixed duplicate elimination effects on the recording player. Fortnite version 1.76 added VOIP to Android. Expanded device support to the Essential-PH, Motorola, HTC, Sony Xperia devices. Major memory optimization on Android devices with Adreno GPUs. This addresses the performance degradation seen due to memory pressure. Implemented a new Audio Mixer, which addresses issues with sound quality and consistency. Items on the ground now have tooltips. Custom HUD Layout Tool now has a more consistent apply/cancel flow. The player healthbar and squad healthbars are now moveable in the Custom HUD Layout tool. Dragging-and-dropping an item from the quickbar now drops the whole stack. To split a stack, drag-and-drop with the inventory window open. Dragging-and-dropping an item from the quickbar no longer stops consumable use. UI prompts now appear on vehicles for entering and switching seats. Corrected some issues with screen resolution in certain locales on Android. The screen will no longer timeout without user input on iOS. Adjusted steering sensitivity on vehicles. Players are now able to thank the bus driver. Gyro controls are now usable regardless of orientation on iOS. Resolved an issue with turbo-building sometimes being stuck “on” when using the quickbar to turbo-build. Fixed the challenges button to use large buttons on mobile. Fixed an issue where toggling between pickaxe/weapons wouldn’t properly change weapons. Exhaust problems with the Street Racer Bike Gliders for mobile have been repaired. The Bikes should run clean now. No longer able to interact with UI behind the challenges screen. Players who are experiencing issues with abruptly going to the Home Screen when pressing jump on certain Samsung Galaxy devices can do the following to fix the issue. This week, deploy your Fort against hordes of buff Husks! These enemies are hard to defeat, and bat players away with strong knockbacks! Win 1500 Gold for the first-time completion. This challenge is also repeatable for Event Tickets. New Mega Alerts now show up on all group missions. A Mega Alert combines Elemental Storms with Mutant Storm modifiers, and has a Miniboss too! They may grant XP, evolution materials, perk materials, schematics or survivors. These rewards can be earned 3 times every 24 hours. Ride The Lightning and Launch The Rocket now use direction-based spawning. The direction the enemies approach from will change at each stage. Due to recent problems with missions failing to grant rewards upon completion we are doing a round of compensation for all players. Players will receive hero/schematic/survivor XP, evolution materials, perk materials, and gold, with amounts scaled based on their account progression. Additional resource grants will be rolled out to affected players shortly after update 5.40, scaled based on the number of missions, and difficulty of the missions, completed that failed to grant rewards. Players will also receive a complimentary Smorgasbord Llama, which can be opened from the Loot tab. Increased Gold rewarded by Main Canny Valley Act 1 Quests from 100 to 150. Many Canny Valley and Twine Peaks Quests that used to award rare Survivors, Schematics, Heroes, etc. have now been updated to instead award Gold, Perk Materials, and Evolution Materials. Players will receive these new rewards automatically if they have already completed these quests prior to this update. The difficulty of normal missions in Plankerton, Canny, and Twine have been reduced. The number of enemies spawned will be lower, and the encounters will be less likely to spawn more difficult types of enemies. Pacing for these missions has been adjusted to allow for more peaks and valleys during the encounter. Storm Shield Defense spawn difficulty also reduced, in Plankerton, Canny, and Twine. Underground Bunkers now appear on the player’s minimap when searching for them for the Canny Underground quest. The initial encounter in Evacuate the Shelter missions will no longer be endless in cases where a player reached the shelter before Ray’s dialog was complete. Applied a variety of optimizations to reduce a large hitch when another player joins a game in progress. Made improvements to the Particle System and Sound performance when playing in a Death Burst modifier zone. Optimized performance of the Shielder and Super Shielder, particularly related to collision processing and movement updates. Made improvements to instant hit weapons performance, especially when they do impact damage and have a high rate of fire. Added multiple optimizations for how missions track eliminating Husks to reduce performance impact when enemies take damage. Smoothed server application of death effects over several frames to reduce hitches around a variety of area effects. Optimized network traffic when Husks die around a Storm Chest, to avoid hitching. Reworked how terrain and object draw distances are managed to improve framerate at each graphics setting without impacting scene quality. Fortnite update 1.76 improved UI performance by removing obsolete checks and optimizing data lookups. Updated Quest Screen to refresh its data only when visible. Reduced performance cost of an expensive per-frame check on Xbox One. Cleaned up logging spam to improve client performance. Fixed a large performance regression related to effects since the 5.30 release. Using many Hover Turrets no longer causes the enemies they are shooting to freeze/stutter. Fixed issue which sometimes prevented Patrol destination rifts from going away. Too many rifts could eventually cause perf issues or possibly a crash in rare cases. Removed hitch when equipping a weapon with visual elemental effect. Fixed a hitch when viewing the map. Fortnite 1.76 reduced hitch when upgrading Survivors on accounts with many items. Fixed hitches around processing inventory updates, especially for players with many Schematics. Fixed some hitches related to loading assets when browsing schematics. Fixed some hitches related to processing stats when generating tooltips for trap schematics. Fixed periodic hitches near the end of timed missions like Rescue the Survivors. Fixed a hitch when crafting ammo. Harvester Fiona available in the Event Store. Fixed an issue where Phased and Confused read “Charge” rather than “Charges”. Kunai barrage tooltip now displays in-zone when the player has Kunai Collection. Fixed an issue with Up The Voltage tooltip, value now correctly reads as a 33% damage increase. Fixed issue with where Energized was not applying to Shock Tower. Fixed issue with Static Cling where the damage type was dealing physical damage rather than energy damage. Fixed issue with Static Cling where the effect was lasting longer than intended. 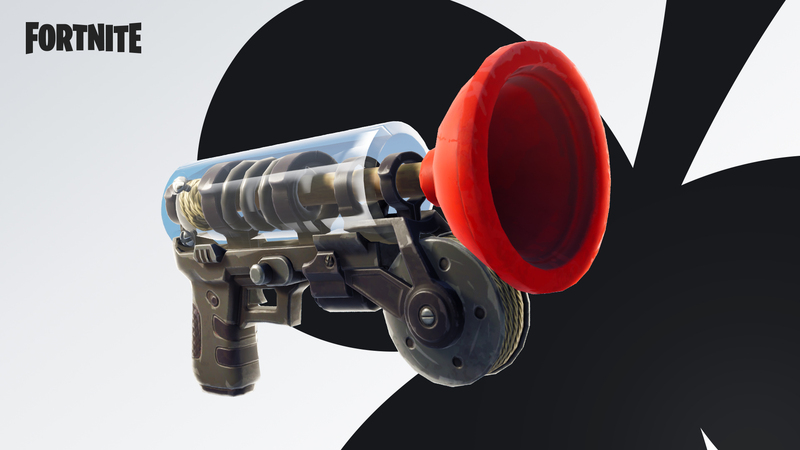 Increased the durability of the Grenade Launcher, Blooper, and Thumper by 65%. Fixed the Snowball Launcher and Easter Egg Launcher consuming more durability than intended. Bundlebuss now correctly takes up backpack space. When using the Bundlebuss, Mercury LMG or Dragon’s Fist the Hitstreak Explosion perk properly damages enemies when triggered. Increased its damage to 70%, up from 30%. Fixed an issue where Leap Attack wasn’t properly canceling hoverboard. Fixed issue that prevented some players from progressing past the tutorial cinematic. Dropped items will no longer auto-pickup for the player who dropped them until 10 seconds have elapsed. They can still be picked up manually before 10 seconds have passed. Shielders and Super Shielders no longer drop loot when they reach the end of a patrol and spawn out without being eliminated. Fixed an issue that caused rockets to not do full damage to Super Shielder shields and the environment. Added ability to slot higher starred version of Schematics in the Collection Book. Fixed a rare crash in the zone map menu. Sold out items in the store will no longer show the sale banner. Fixed quest page refreshing when navigating to current quest. Fixed an issue where using the “Play Now” button while in the Quest Tab could cause a delay in the mission loading. Fixed a rare video playback crash on Xbox One. The Event Store item quantity now properly updates. Fixed issue that was removing the button for increasing quantity of items to purchase in the Event Store. Weapons in your backpack will now properly update ammo counts. Fixed some loot containers appearing as placeholder assets at long range. The sun is back out in full force in Canny Valley. Fixed issue with music in Ride the Lightning missions where looking away from the van lowered the battle music. Fixed issue for timer and success sound cues playing during the Defeat sequence. Fixed issue with game sounds playing over Victory sequence. Fixed issue with the shelter module sound spamming. Fixed issue with Smasher sounds not triggering consistently. Fixed music issue during Homebase Outpost intro cinematic not playing the correct music. Fixed volume issues with the Atlas sounds. Fixed issue with Anti-Material Charge impact volume. Fixed several issues with music such as music retriggering during Smasher intro, multiple tracks playing in the Lobby and music not playing in the Main Menus. Fortnite 1.76 has added fixes for crashing issues. Added performance and stability improvements with Fortnite version 1.76. Fortnite update 1.76 for PS4 and Xbox One is now available for download.